Valiant unveils WAR MOTHER #1 (of 4), the first issue of the new series, launching the breakout hero of 4001 A.D. into a high-powered tale of tomorrow. 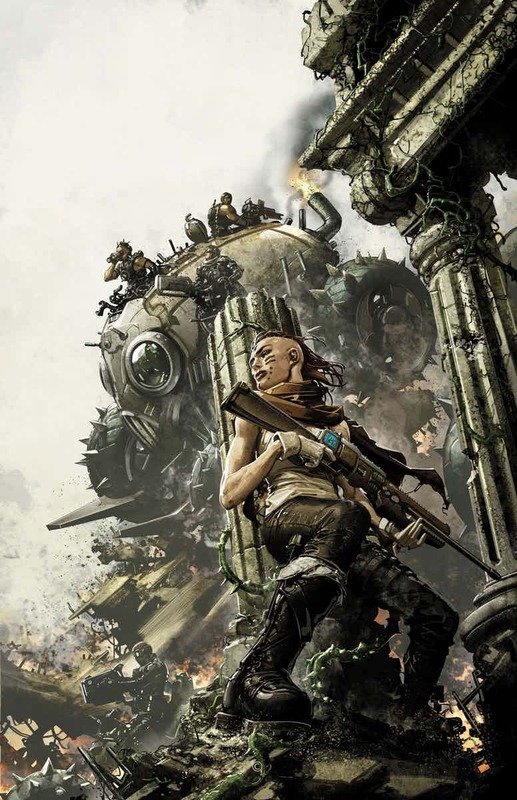 First teased at #ValiantSummit2017 as a classified project, Valiant can now reveal that the war-torn protector of 41st century Earth will charge into her first, much-demanded limited series on August 23rd as New York Times best-selling writer Fred Van Lente (ARCHER & ARMSTRONG) and high-octane artist Stephen Segovia (NINJAK, Action Comics) bring War Mother to bear with an all-new, self-contained entry point for the newest hero manning the frontline of the Valiant Universe’s far future! 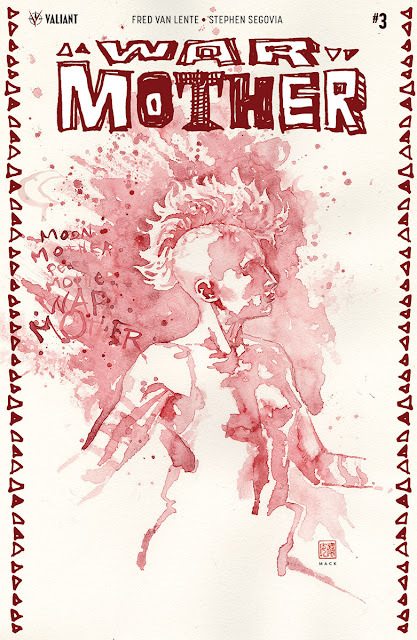 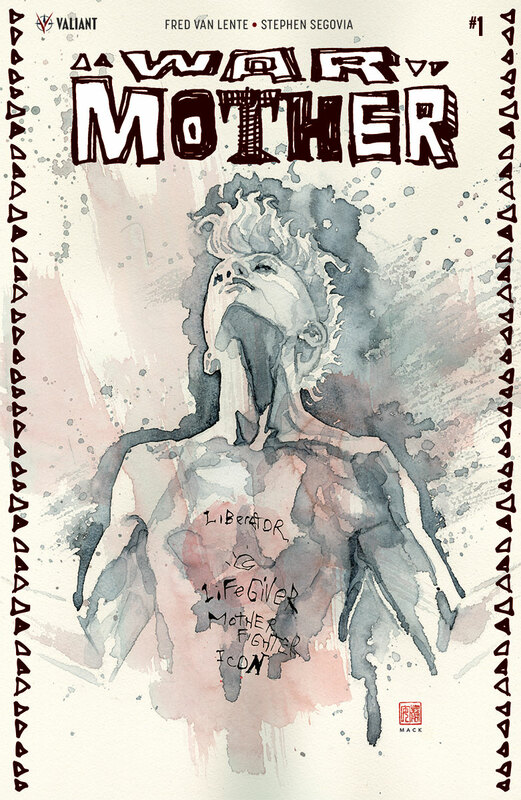 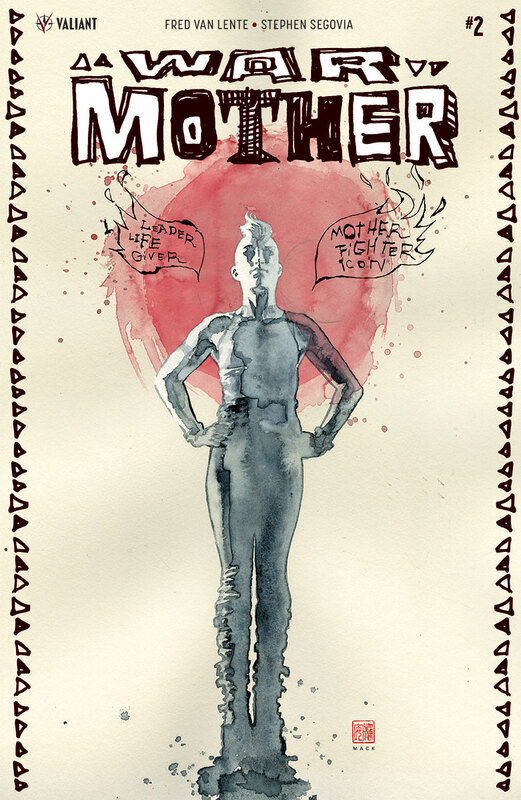 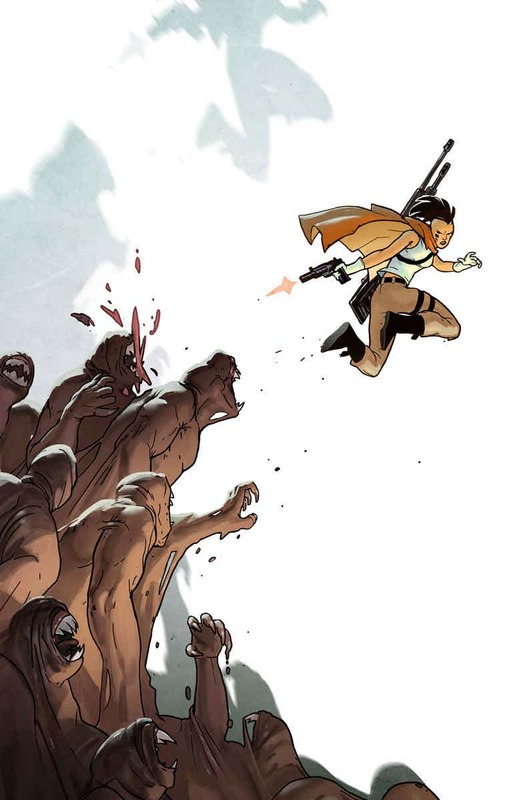 After first appearing with a highly speculated-upon cameo in the pages of BOOK OF DEATH #1 in 2015, War Mother rushed to the fore of the Valiant Universe with a history-making debut in the 4001 A.D.: WAR MOTHER #1 special – an integral chapter, helmed by Van Lente and blockbuster artist Tomas Giorello (X-O MANOWAR), at the heart of last summer’s best-selling crossover event. 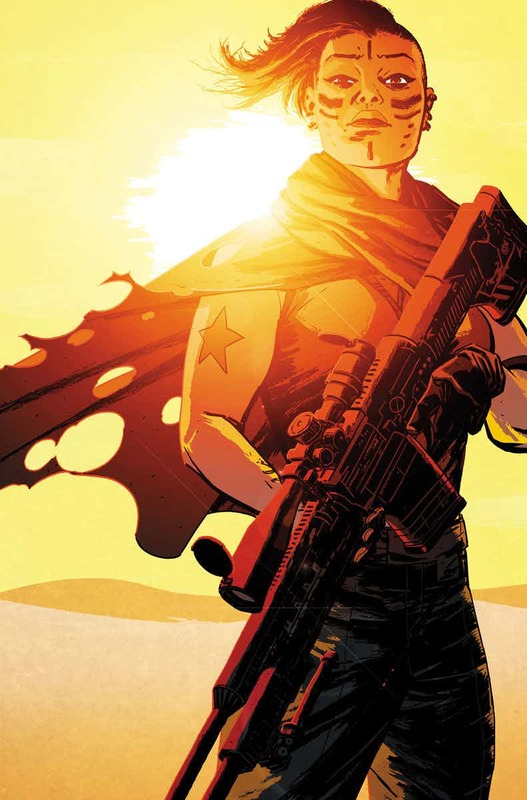 An instant fan favorite, the character’s landmark first appearance earned two sold-out printings and widespread critical accolades. 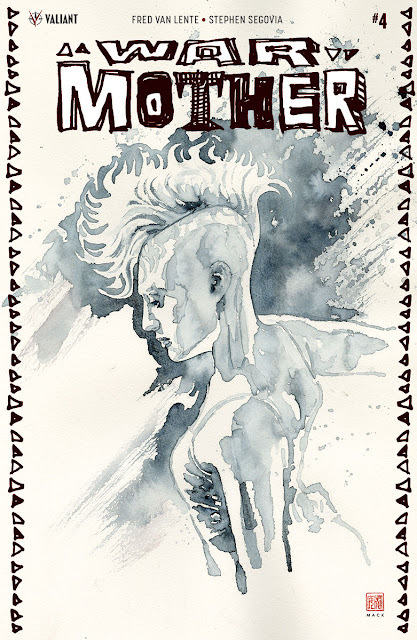 Now, in lockstep with Valiant’s other major 2017 launches – including X-O MANOWAR (2017) #1, FAITH & THE FUTURE FORCE #1, BLOODSHOT SALVATION #1, NINJA-K #1, and QUANTUM AND WOODY! #1 – War Mother prepares to march onward into her first limited-series adventure…and, in doing so, join the battle-scarred pantheon of the 41st century’s greatest champions alongside Rai and his fellow veterans of the fall of New Japan. 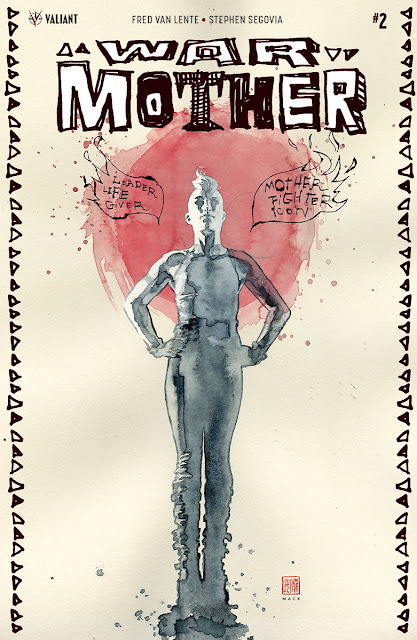 Because you demanded it – the age of the War Mother begins now! 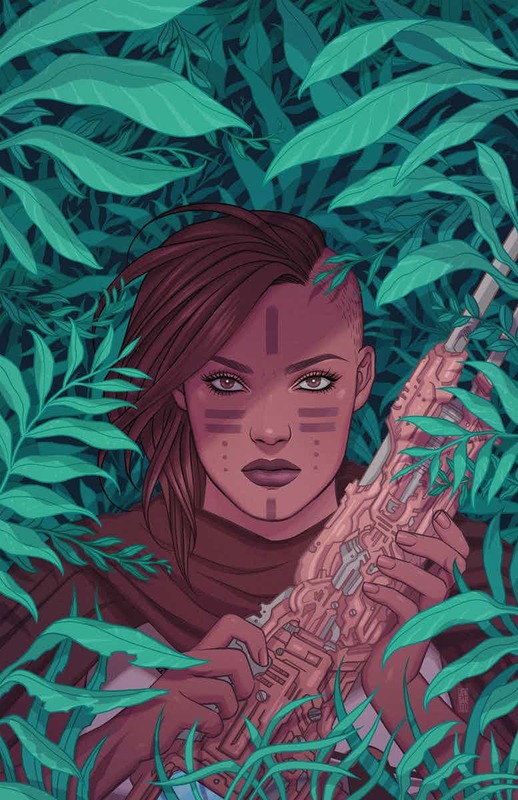 In the footsteps of RAI and BOOK OF DEATH, raw power meets tribal warfare on August 23rd as Fred Van Lente and Stephen Segovia forge a modern myth of the near future through the fire-tempered frontier of 41st century Earth for Valiant’s next stunning science-fiction showdown! A comics milestone two millennia in the making starts right here as Valiant’s next powerhouse heroine steps out of 4001 A.D. and into her first full-length trial by fire, only in WAR MOTHER #1 (of 4) – featuring a high-caliber lineup of covers from astonishing artists David Mack (Daredevil), Clayton Crain (4001 A.D.), Kano (Daredevil), Jen Bartel (Jem & The Holograms), and Monika Palosz (DIVINITY III: STALINVERSE)!